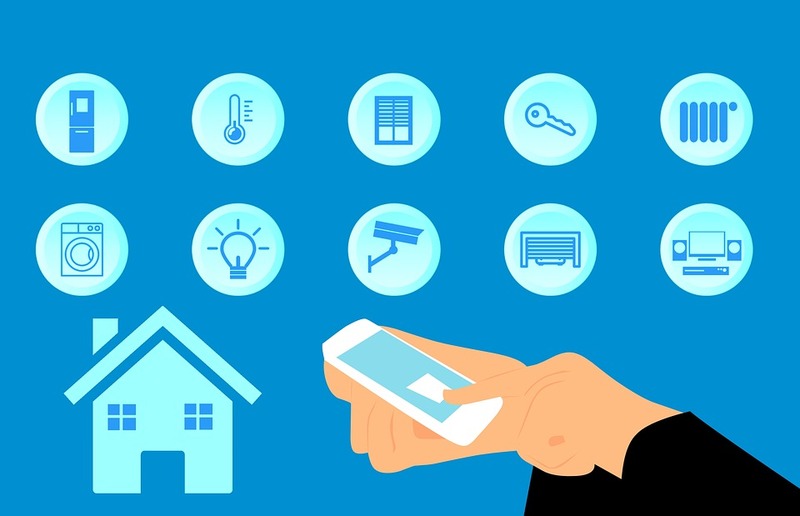 Smart home can help you save money on energy expenditures, keep an eye on family members or your home when you’re away, streamline your daily routine and so much more. Springtime is here, which means deep cleaning around your home, getting organized and prepping for warmer weather, vacations and longer days. Spring is the perfect time to think about adding smart home products to your home setup so you can take full advantage of everything they can do in your home, since you’ll be spending more time outside of it. Here are a few of our favorite smart home products and ways to incorporate them into your daily routine this spring. Spring marks the beginning of warmer temperatures for most of the country – and higher energy bills.A smart thermostat, like the Remotec ZTS-500 Z-Wave Plus Smart Thermostat or the Go Control Z-Wave Thermostat, offers the convenience of managing your home’s energy usage from anywhere in the world via your smartphone. How does it work? Suppose you left the window open when you left for work in the morning. Working in unison with a smart window sensor, a smart thermostat can automatically shut itself off when it’s alerted that a window has opened so that you don’t waste any air conditioning as a result. Similarly, smart thermostats can also work with motion detectors to turn off AC when no motion is detected for an extended period. With a smart thermostat, you don’t have worry about wasting energy and money on AC or heating when no one is home. And even if you do forget to adjust the thermostat before you head to work in the morning or leave for vacation for a week, you can always check the status of your Z-Wave thermostat with your smartphone no matter where you are in the world and make the necessary adjustments to save energy and money. Like smart thermostats, smart lighting can help you conserve energy and keep your monthly bills down. Set schedules to turn off lights at certain times, so that you’re never wasting energy (or money!) to light an empty house. For example, do you leave the house at 8:30 every morning? Program your smart lights, like the Monoprice Z-Wave Plus Smart Bulb or the Aeotec Z-Wave LED Bulb with Z-Wave Plus, to turn off in the morning when you leave for work. Smart lighting products from Z-Wave can also be controlled remotely, so you can manage your home’s energy usage even when you’re around. Worried that the kids left the lights on again? Just log on with your smartphone to check the status of your lights and turn them off if needed to save energy and money. Smart locks, like the Schlage Z-Wave Connect, or the Yale Assure Lock give you the power to remotely control the security status of your home, as well as the peace of mind to know your home is always secure. Once your smart lock is connected to a Z-Wave smart hub, you can remotely access it to lock or unlock your door at any time, from anywhere in the world. For instance, did you forget to lock the house when you left for work in the morning (or you’re worried that the kids did)? Use your smart phone to check the status of your smart lock—was it really left open? Just lock it remotely. Smart locks also bring the benefits of keyless entry. For one, you never have to worry about losing or forgetting your keys again – whether you’re off to work or on spring vacation. You can also take advantage of keyless entry to monitor who comes and goes from your home. Is the housekeeper or babysitter stopping by? No need to give them a key—just remotely lock the door when they arrive, and then lock it behind them when they leave. Are the kids headed home from school? Check on your smartphone to see that they did arrive home and that they’ve locked the door behind them. Plus, with unique user codes, you’ll always knew exactly who’s coming and going. The right devices can help you swiftly manage your home’s energy usage and keep your family safe at home, 24/7. Find Z-Wave smart thermostats, lighting, sensors, lock and more that are right for you in stores nationwide or online. Mitchell Klein is a leader in smart home and IoT, dedicating his career to educating the industry, creating and implementing strategic business programs and leading companies that helped bring smart home and custom installation into the mainstream. Mitch’s career is a 30+ year industry veteran in IoT, consumer electronics, home automation, and the integrator market. Mitch is currently executive director of the Z-Wave Alliance, a member consortium of over 700 companies supporting the popular Z-Wave smart home standard.